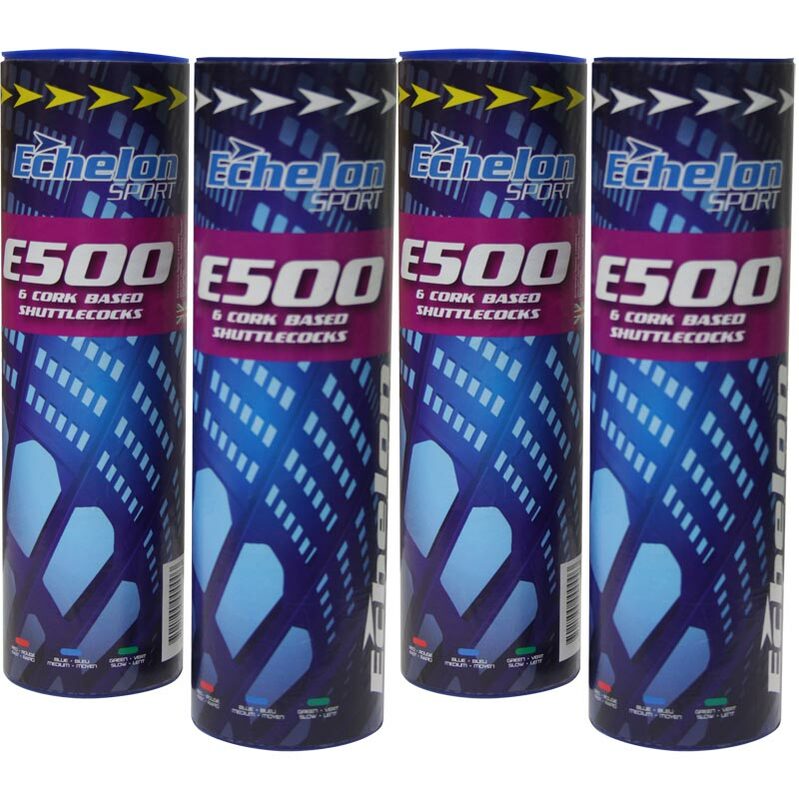 Echelon E500 Badminton Shuttlecock 12 Pack are ideally suited to club and league players. The E500 are fast spinning for smooth trajectory flight. Cork base - durable nylon construction. Stiff cage construction with inside and outside stem re-inforcement for real feather like performance. Medium speed and fast speed.